The award-winning theONE's revolutionary technology means this fully digital atmospheric generator creates fog or haze effects from a single source. Its construction and features make theONE™, perfect for rental and international touring. Seamless switching between haze and fog modes. 100% duty cycle. This system purges the heating module after the first heating cycle and after every emission of haze/fog preventing residual build up and clogging. 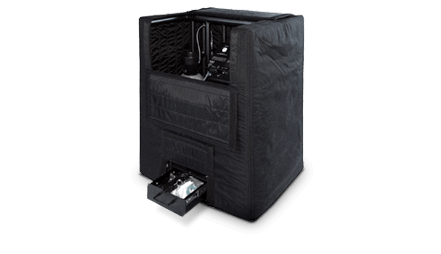 theONE™ is the first atmospheric generator with networking capabilities. It can be controlled through its DMX/RDM connector or RJ45 node (Pathport embedded, ACN, ART-Net, ETCNet 2 & 3 and SHOWNet protocols). USB 2.0 Link connector for updates. 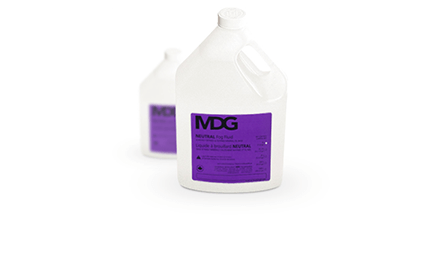 Specially designed to give maximum, consecutive, non-stop hours of haze/fog without interruption, theONE™ automatically refills its internal fluid reservoir from our external 20 L (5.3 US gallons) container of MDG Neutral fluid as required. External dual-position, adjustable fan with dedicated control channel which travels in its own compartment within the touring cradle. Can be mounted above or below haze/fog output to adjust directional flow. 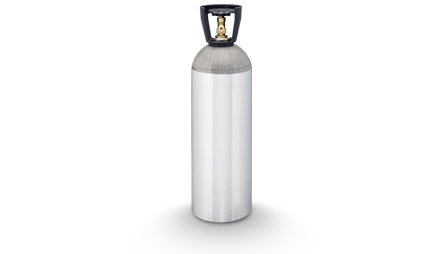 theONE™, running at full intensity, will generate 308 hours of haze and 20 hours of fog from its 20 L (5.3 US gallons) fluid container. Gas bottle will need to be changed at 50 hours for haze and 15 hours for fog. This can be done during operation without interruption of fog or haze emission. theONE™ is unique in being the only atmospheric generator to offer automatic detection of universal voltage rating from 100-250 VAC, 50/60 Hz, single phase. theONE™ cradle contains the generator, its fan and a convenient tool drawer, and accommodates our 20 L (5.3 US gallons) fluid container and, uniquely, all known sizes of 9 kg (20 lb) CO2 or N2 gas bottle, within a single robust aluminium frame. 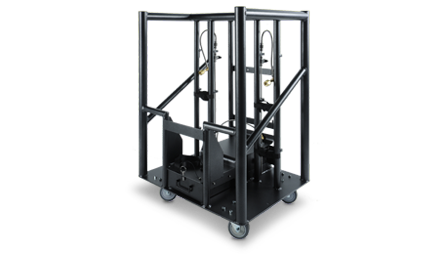 Exceeding PLASA rigging standards the cradle is designed for rigging, stacking and rolling and sized to fit standard trucks/containers. The touring cradle ensures theONE™ is fit and ready for worldwide touring. theONE™ is a truly global product being CE certified, CSA and UL approved. theONE™ cradle contains the generator, its fan and a convenient tool drawer, and accommodates our 20 L fluid container and, uniquely, all known sizes of 9kg (20 lb) CO2 or N2 gas bottle, within a single robust aluminium frame. 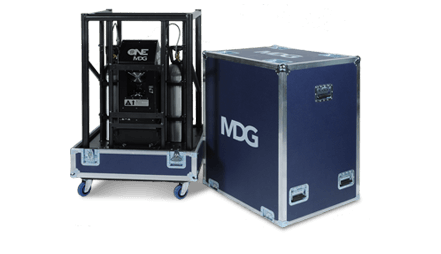 Exceeding PLASA rigging standards the cradle is designed for rigging, stacking and rolling and sized to fit standard trucks/containers. The touring cradle ensures theONE™ is fit and ready for worldwide touring.